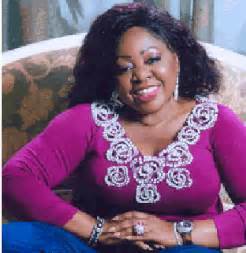 Former senator, Florence Ita-Giwa, says her life is endangered following her recent 'exposure' of the diversion of relief materials meant for Internally Displaced Persons in Dayspring Island, Bakassi. The senator disclosed this at a media briefing in Lagos on Monday. Addressing the press, Ms. Ita-Giwa alleged that a certain Effiong Udeme in collusion with some Cross River State officials shared the relief materials, which included bags of cement, wood, and packs of zinc among themselves and also sold some to the market. But in a twist of events, Christian Ita, the Chief Press Secretary to the governor of Cross River State issued a statement on Tuesday accusing Ms. Ita-Giwa of attempting to divert attention from the counter-claims by some indigenes of Bakassi who accuse her of age-long diversion of materials and the resettlement fund meant for their rehabilitation. Mr. Ita was quoted as saying, "Rather than respond to the claims by Bakassi indigenes that she has over the years been diverting their relief materials and funds, Senator Ita-Giwa has resorted to blackmailing the governor in a bid to divert attention from the accusations by the indigenes that she has been diverting their relief materials." But, Ms. Ita-Giwa has insisted that she is a victim of a personal vendetta being waged by political enemies spearheaded by Mr. Ayade. She also alleged that the latter wants her dead. "If anything happens to me, Governor Ayade should be held responsible for the text he sent to me. I would like the public to know that Governor Ben Ayade, a man whose election I supported, has been sending menacing text messages to me, warning me of the consequences of involving the Nigerian Media and Nigeria Police in the uncovering of the diversion of the relief materials by his government officials,". "As we speak, Cross River State is very unsafe, with assassinations and kidnapping becoming the order of the day. Under this cloud of general insecurity nothing must happen to me. Governor Ayade and his gang of merry men should be told that they will be held responsible should I come to any misfortune. This self-serving campaign of calumny against me instigated by the state government is capable inciting ethnic tensions which may in turn lead to the shedding of blood, a prospect I dread greatly." She also threatened to relocate all her investments in Cross River, notably her restaurant, Fusion, to Lagos State since, according to her, it appears that she is no longer wanted in her homestead. Ms. Ita-Giwa, also known as Mama Bakassi, said trouble began after she blew the whistle on the alleged diversion of the relief materials she sourced from the National Refugee Commission for victims of a fire outbreak in Dayspring Island, Bakassi. She noted, "From my observations, it appears to me that Governor Ayade feels threatened by my joining the APC for whatever reason. I don't recall any other former PDP stalwart in the state who decamped to the APC being as persecuted as I am. Could it be that Governor Ayade is picking on me because of my gender or my enormous electoral appeal? I choose to believe the latter as I would like to believe that Ayade is not a misogynist, and he ought to know that I have never played gender politics." She said rather than get praises for her timely intervention, she got knocks. "They turned the table around and accused me of diverting the relief materials," she said. Not only that, some disgruntled people of Bakassi, she alleged, have asked her to cease from representing Bakassi. This, she said, has necessitated her decision to relocate all her investments from Cross Rivers State. "I have no problem abandoning Bakassi which is my father's town for Calabar South where my mother hails from. I contested and represented Calabar South in the House of Representative. I can also transfer my love and passion to Ilaro in Ogun state where my step-father hails from since I have a cordial relationship with them."